Frank Lloyd Wright: fantasist or genius? 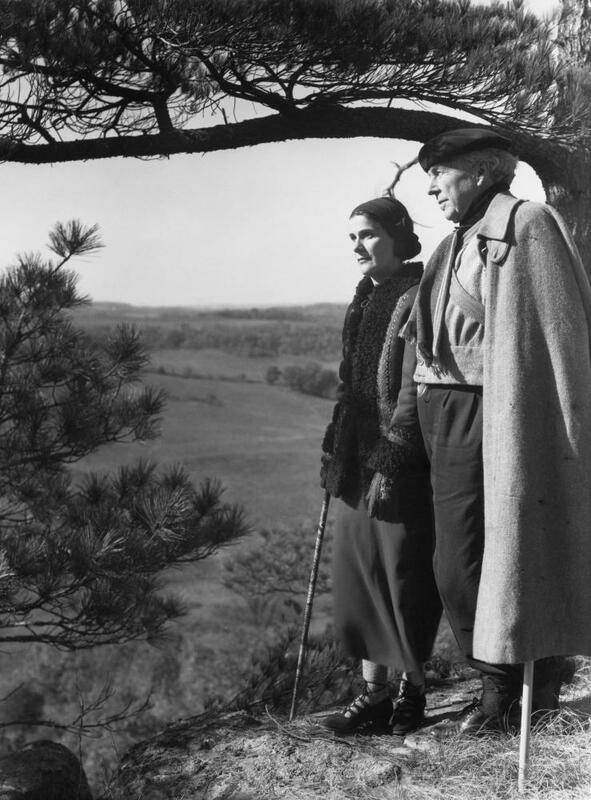 “June 8 1869 will for ever mark the beginning of a new epoch for the world,” gushed Olgivanna, third wife of Frank Lloyd Wright. On this day, she said, “a great gift was bestowed” – she meant her husband – a man who “led his fellows to the creative forms of a way of life which liberated man from being imprisoned in his own dwelling”. She was echoing an often-stated view, not least by Wright himself, that he was a great, great man, a genius. And, yes, so he was. In his early work he reinvented the planning of houses – more free, dynamic, open – in ways that changed the course of modern architecture. From his first built work in his early 20s to his death at the age of 91, his life was a torrent of invention and production. Despite personal catastrophes and excursions into professional oblivion, he kept coming back. The white spiral of his Guggenheim in New York and the architectural geology of Fallingwater in Pennsylvania are two of the most potent images of 20th-century building. If Wright were immortal – as he sometimes seemed and as it also seemed he wanted to be – he would turn 150 next month, and he will be honoured as he should be with an exhibition at the Museum of Modern Art in New York of his archives of drawings and models. A scattering of books is coming out. Yet of all the architects officially designated great, he provokes in me a special allergy. It is not that he was a fantasist, liar and egomaniac who left a trail of emotional destruction in his wake, nor that his buildings leaked and crumbled and went many times over budget, nor that the chairs he designed fell over and defied basic norms of comfort, nor that he wrote and spoke pure, shining, transcendent, transparent nonsense, nor that he was a hypocrite who preached democracy and freedom but flirted with tyrants such as Mussolini and Stalin. He was all these things, but the really irksome thing about his genius is that it too often feels misdirected into displays of virtuosity for reasons you don’t quite know. You may by now have done the maths. 1869, you will object, was 148 years ago, not 150. This is true, but Olgivanna’s declaration was not. In which instance she was following her husband who, as Wright’s biographer Brendan Gill wrote, “was a virtuoso at bearing false witness”. In his florid, self-aggrandising autobiography, and, indeed, whenever he felt like it, he made up stories at will, about his parents’ marriage, for example, or his authorship of works actually by others. “Hotel Stands Undamaged As Monument Of Your Genius”, went a telegram allegedly from Tokyo, when his Imperial hotel survived the great Kanto earthquake of 1923. Gill suggested, with evidence, that Wright had the telegram sent to himself. His economies with the truth included the year of his birth, which Olgivanna dutifully repeated. His faulty relationship with reality helped him in his lifelong habit of duping clients into paying much more than they wanted for buildings that worked much less well than they wanted. Again and again they would write letters of mounting frustration and receive replies claiming they would get “the most perfect thing of its kind in the world – a domestic symphony, true, vital, comfortable” that will proclaim the client “to subsequent generations as the lover of the good! the true! the beautiful!”. On his Johnson Wax building in Racine, he ambitiously used arrays of Pyrex tubes to keep out the Wisconsin weather. When they predictably failed, he blamed the state of contemporary technology for not keeping up with his ideas. He used words of propaganda with infinite flexibility. He championed “organic architecture”, by which he meant buildings that grow naturally from their use and terrain, to describe works of high contrivance and awkward functionality. He talked often of the “democratic” nature of his designs and ideas, then gave a lecture in Moscow proposing that the Soviet Union be an ideal place to realise them. He railed against “grandomania”, the excessive ambition of other architects, and then presented someone like himself as “perhaps the only one who can show us the true way”. No wonder that he was the model for the risible Howard Roark, hero of Ayn Rand’s celebration of individualism, The Fountainhead. He found in Olgivanna a control freak with eccentric mystical beliefs, a perfect accomplice. Travels With Frank Lloyd Wright: The First Global Architect (Lund Humphries £30), a quirky new book by Gwyn Lloyd Jones, recalls that Olgivanna insisted that Wright’s chief apprentice, William Wesley Peters, marry Svetlana, daughter of Joseph Stalin, on the basis that Peters had previously been married to Olgivanna’s daughter, also called Svetlana, who died in a car crash. Olgivanna thought that the spirit of one had migrated into the other. The second Svetlana would come to the conclusion that the set-up in the Wright compound was a bit too much like Daddy’s world back home that she thought she had escaped. In all these respects, Wright is uncannily like two other self-mythologising, tyrant-chasing, client-exploiting giants of the 20th century, Le Corbusier and Mies van der Rohe, right down to changing their names given at birth – in Wright’s case, his middle name had been Lincoln. Between them they created a trinity of barely habitable yet iconic houses – Corb’s Villa Savoye, Mies’s Farnsworth House and Wright’s Fallingwater – and with each the deal was the same. Their greatest works were so stupendous, so world-changing, so beautiful that everything else could be forgiven. So, almost, they are. But too often in Wright’s buildings I have felt a particular sensation, which is that his obsessive, crabby, dominating personality won’t leave you alone. I have felt it in a relatively obscure work, the campus of Florida Southern College, where colonnades of questionable usefulness march on seemingly for miles, along with insistent geometric ornament that never seems to stop. I have felt it in the Robie House, a masterpiece of his early years in Chicago and an example of what is called the Prairie style. Its long horizontals are supposed to evoke the freedoms of the wide-open spaces of the New World, but every detail and every move is so minutely predetermined that you, the human occupant of the space, feel superfluous. The Guggenheim ramp, majestic though it is, only offers one route to take. 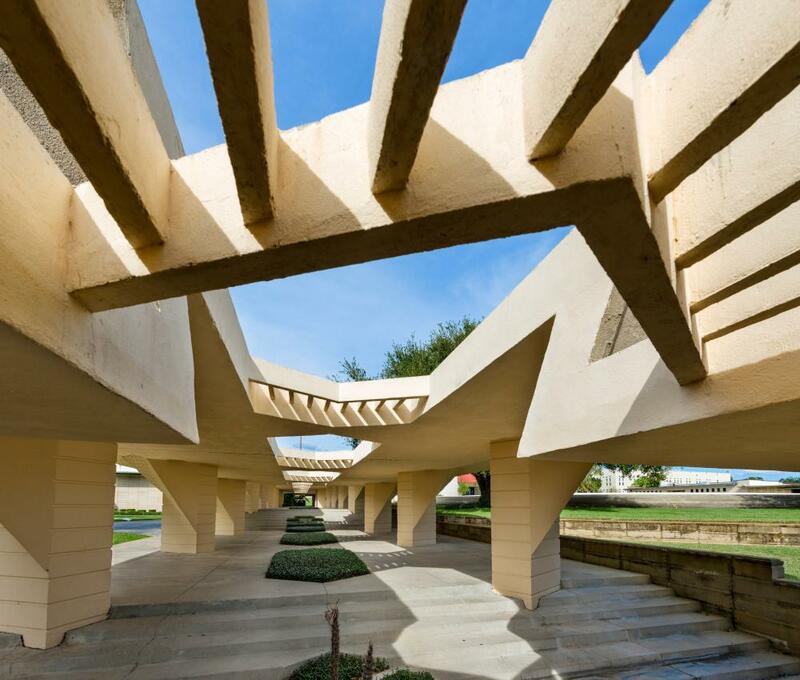 The most pleasurable of Wright’s works are from his extremely late, kitschy, you might say senile period, such as the Marin County Civic Center near San Francisco. This is a fusion of a UFO and a Roman aqueduct rendered in baby blue, pink and gold, whose sheer silliness, combined with undiminished bravura and invention in placing it in the landscape, relieves the asphyxiation of his more revered achievements. Wright resembled a cult leader, charismatic, fraudulent and dominating, and attracted plenty of acolytes willing to sacrifice themselves for him. He pushed to the limits the idea of the impossible genius that, incidentally, gives later architects a pass on pushing themselves – if genius is impossible, why try? Or else it gives licence to lesser talents to act like idiots. 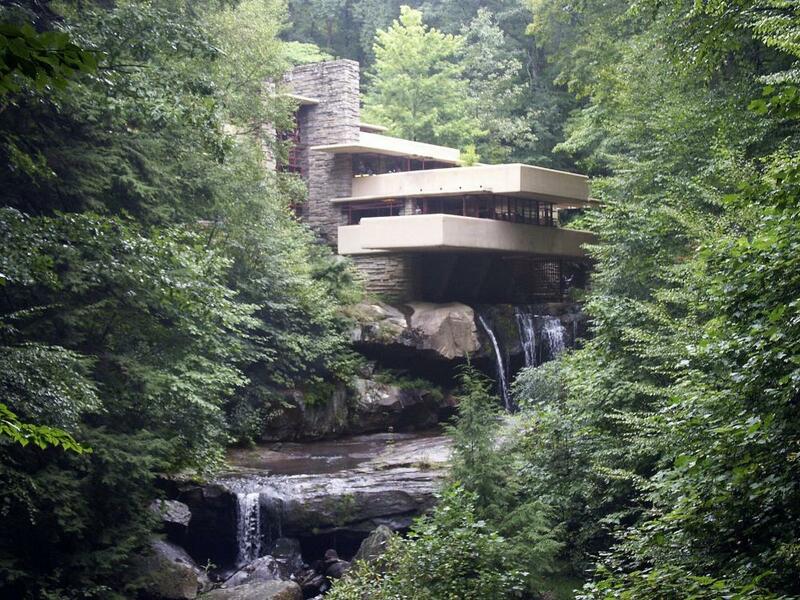 Even his greatest works – Fallingwater and the Guggenheim – were seriously flawed. But, then again, the world would be a poorer place without them.